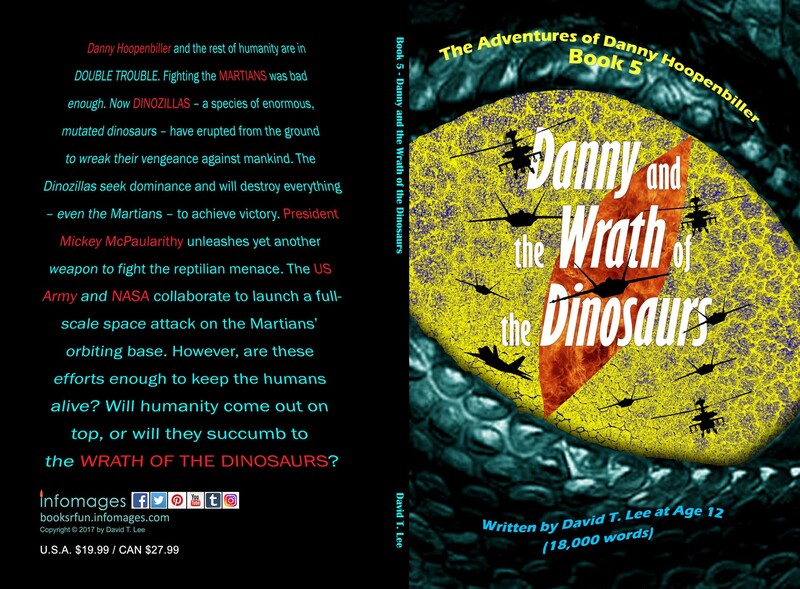 Danny and the Wrath of the Dinosaurs is the final installment of The Adventures of Danny Hoopenbiller 5-book series, which David started publishing at age 7. His work stimulates children’s creativity in writing and promote STEM learning. It will cost $0.00 till Sunday, Jan 20th. Get your FREE copy today at https://www.amazon.com/dp/B079WW48FH and please consider leaving a review for David (if you like). Good ranking on Amazon helps authors promote their writing. Your effort will be greatly appreciated. Now, you can read The Adventures of Danny Hoopenbiller series on any mobile devices (and computers). Try the FREE book. If you like it, you can download the whole series for only $11.96. That’s 20% off the original Kindle price! Offer only valid from January 16th to 20th, 2019. Happy reading!